One of the Primary Function of Every Smartphone is to capture your photos and videos. However, as the number of photos increases in your mobile, so increases the complexity of searching your favorite ones. However, Android offers a lot more to you than your stock Gallery apps. You just need to head out to Google PlayStore. 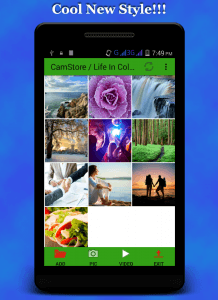 This list of Apps would ease your life as you would find some of the best handpicked Gallery Apps for your Android Phones. 1 . 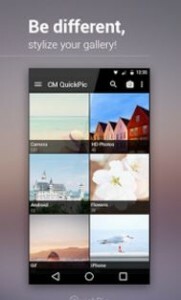 QuickPic Gallery: As the first line of its description says, “FAST, LIGHTWEIGHT AND MODERN”, it is really one of the best Gallery apps you would ever find on Google PlayStore. 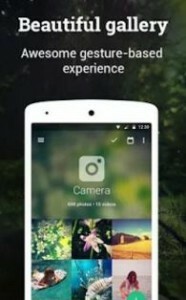 Cloud Storage and Photo Customization. Group your Photos by Time and Location. 2. 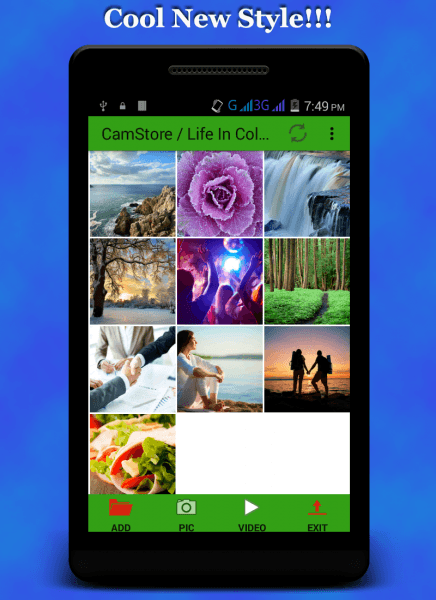 Cam Store: It is a relatively new app but has some of the solid features like real time Photo Organizer. According to its description, you can create a folder and snap a pic and your pic would be saved under that folder only. It is the best feature in Gallery, i could think of. Strong Password Protection and File Management. File Size: Surprisingly, 0.8 MB. Ability to make Nested Folders. Easy Sharing of your Photos. 3. 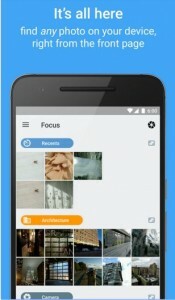 Focus: It is an incredible new kind of Gallery app tuned for speed, efficiency and ease of use. It employs Tagging feature through which you can easily organize your photos and Videos. 4. 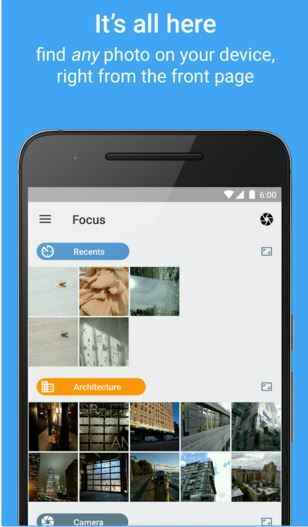 F Stop: F-Stop is an alternative image gallery app that provides you with professional tools and a clean, material-inspired UI to minimize effort and maximize organization. 5. Piktures: This Gallery App comes with a wonderful interface. 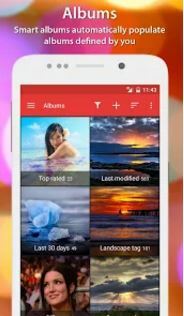 It is a gesture based Gallery App to manage your albums and supports unique views like Calendar View and Location View. NOTE: Click on The App Name to Download Them.